WPIX's SHOCKTOBER Marathon, from 1992! | Dinosaur Dracula! WPIX’s SHOCKTOBER Marathon, from 1992! I know you’ve heard me sing this song before, but before now, I didn’t have the proper materials to hit the right notes. Indulge me, please. I need to talk about SHOCKTOBER. SHOCKTOBER was an October-long stunt that WPIX ran in the early ‘90s. Every weeknight at 8PM sharp, WPIX broke from its normal menu of cartoons and sitcom reruns to air a horror movie. Put so simply, it hardly seems worth the fuss I’ve made over the years. Trust me, it was! You didn’t flip to WPIX for first-run sitcoms or any “big” television events, but it was the only non-cable channel that almost constantly aired things kids could be satisfied with, whether it was a Cheers repeat or an episode of Rescue Rangers. Many kids had televisions in their bedrooms, but very few had cable access on those televisions. *I* didn’t, at least. WPIX became my “default” channel — the one I left on in relative perpetuity, only breaking for here-or-there hours on the bigger networks. 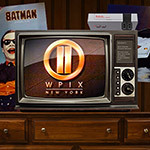 In my bedroom, WPIX was the nightlight and the soundtrack. 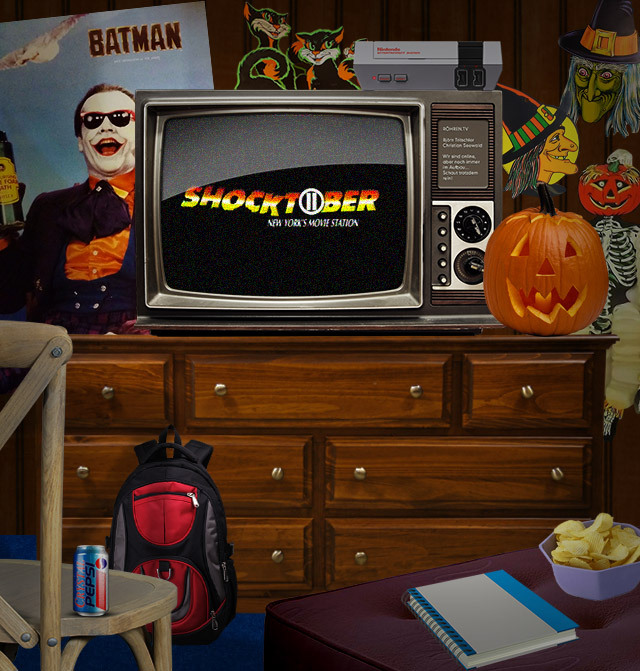 Judging by my research, the 1992 version of SHOCKTOBER began on October 1st and ended on the 23rd. That left enough slots open for seventeen different movies, most of which aired on school nights. In many cases, I didn’t so much “watch them” as simply “leave them on.” I’d occasionally glance up from my homework (comic books) to marvel at the mayhem, but even that was enough to give the 1992 Halloween season a true “horror” vibe. Other movies grabbed my attention outright. I first saw A Nightmare on Elm Street 3 as part of this marathon, and I completely fell in love with it. I can still remember laying sideways on my bed, and being super pissed that Taryn and Will — my two favorite characters — didn’t survive. I’ve seen the film a hundred times since that night, but I’ll always associate it with SHOCKTOBER. 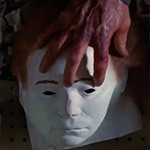 Even viewers who never bothered with the movies still have mad nostalgia for SHOCKTOBER. The promos for the stunt aired constantly, and I do mean CONSTANTLY. It didn’t matter if you were watching an afternoon cartoon or a late night Honeymooners rerun — those SHOCKTOBER promos were coming to get you, Barbara. 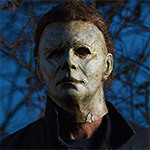 Between the individual movie spots and the “main” promo embedded at the top of this article, SHOCKTOBER was all over that channel. You couldn’t escape it. As mentioned, every SHOCKTOBER movie aired at 8PM, and almost all of them began with neat intros. The branding and packaging made you feel like you weren’t just “watching television,” but actively partaking in an event. I wasn’t flush with friends in October of ‘92, so SHOCKTOBER became my way to “do something Halloweeny” without doing much at all. It felt communal, even if I could never actually see my community. It’s hard to articulate that “party of one, but not really” feeling, but God, as a lonely kid who was getting too old to trick-or-treat, it meant the world to me. I didn’t truly understand the “peanut butter and chocolate” relationship shared between Halloween and horror movies until SHOCKTOBER. 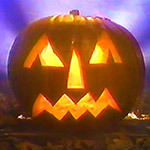 Thinking back, 1992 was probably the first year that I saw Halloween as something way beyond candy and carved pumpkins. Thank you, WPIX! The Ultimate Tribute to WPIX. 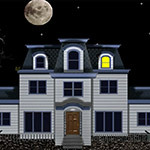 The 1990s Windows Mystery Screensaver! 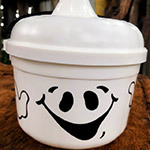 Spooky Treasures from the Halloween 4 Pharmacy! Classic Creepy Commercials, Volume 20!